This week we had so much stuff to talk about, we didn't even need an overall topic! Yvonne joins us briefly to update us on Animation Nights New York, and then Chris, Dan and Rachael get into a range of animation topics! 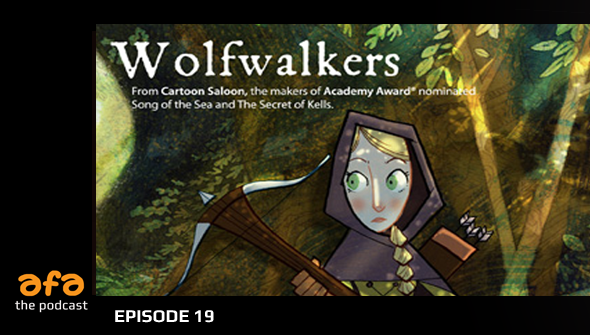 This week's news includes new details on Tomm Moore's Wolf Walkers, as well as the trailers for Finding Dory and Boy and The World. Then it's time to talk what we've been watching, including this week Whisper Of The Heat, Kill La Kill, Gravity Falls and Transformers the Movie. Don't forget to Subscribe on iTunes, or find us on Podcasts.com or Stitcher. If you enjoy the show, please leave us a rating or review- it'll help more people find the show in future. Send us your listener mail for future shows to podcast[@]animationforadults.com. If you'd like to advertise or sponsor a show please contact us.